Fathima produces this film of Vijay Antony written and directed by Ganesha. Vijay Antony brings in a kind of minimum guarantee in terms of content and fans look forward for his films. The story of TP is a straight forward one but it is the weak characterization that confuses the viewer. Well, you have a police officer who is more like a “Munnabhai Police”, a thug who growls and then grumbles, a heroine who is confused if she is in love and a few juveniles who are the real villains. The screenplay is tardy to say the least and this ancient script moves at a very sluggish pace with a lot of bizarre portions that can test your patience, save for one flag hoisting scene. Vijay Antony is largely ineffective in this weakest written role for him. 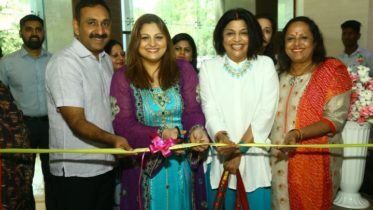 Nivetha is bland in a fussy role. Sai Deena is harmless in a largely underwritten role and it is the junior villains who walk the talk in the film. Senthil Kumar shines in his small role portraying genuine emotions. Technically too this is VA’s weakest film with an average budget. Richard’s camera work is anything but good. Music by VA, except one song is drab. Dialogues are boring. Editing by VA suffers due to his lack of experience and he should stop with this film. Direction by Ganesha is substandard. TP is VA’s feeblest work so far. It is time he stops picking “trying” scripts and goes back to what he does best. 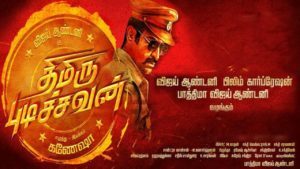 THIMIRU PIDICHAVAN – THURUMBU ! !